The characters in The Divine Wind are first and foremost real frontiersmen: from Zeke the pearl diver, with his ascetic face and tough, scarred body, to Derby Boxer, the black stockman; from Mike Penrose with his pearling fleet to Alice Penrose and Mitsy, two young women who venture into cyclones and war zones. Arnold Zable uses the term ‘feral vitality’ to describe survivors of horrors beyond their control, and the reader gets the sense that this hotchpotch of races and cultures was united by their battle against the enemy and the elements. In Broome, the land, sea, and sky can suddenly become sites of death and destruction, especially during wartime. However, the one group that is treated as if they have no sense of self-agency is the indigenous Australians. 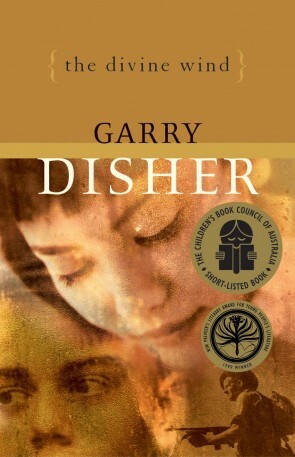 Disher spares no sensitivities in recounting the indignities of the past and the cruelty of station owners towards the local indigenous population: ‘Carl didn’t force his recalcitrant black stockmen to dress in women’s clothes and do women’s work. If the blacks got “cheeky” he might dock their wages but never chain them down on a corrugated iron roof…He didn’t lay on black velvet in the visitor’s quarters, something that some managers did for company men visiting from London.’ But Carl Venning is just as awful in his neglect of the black stockmen. The poem has to feel…as if there is a real person struggling with real experiences that will not yield some handy lesson, but nevertheless are not entirely without meaning. The voice that convinces will always be the voice of the individual, not as a spokesperson for this or that idea. Disher writes that teenage girls initially hate Mitsy because she is ‘cold’ and stony towards the protagonist. He asks them to ‘step outside of [their] skin and into hers, and consider the pressure she’s under’. This important self-interrogation does not happen if minority characters are two-dimensionally easy to love. Mitsy’s Japanese-ness does not define her, but nor does her Australian-ness: ‘Mitsy represented a new generation. Born and educated in Broome.’ Mitsy is described as ‘sly’, but a few pages later Hart also describes his sister Alice as ‘sly.’ Slyness in this case is not synonymous with Orientalism but with commendable survival skills, the formation of the frontier character. Mitsy suffers but is never pitiable. She is defensive, never cruel. How can you love and hate someone at the same time? How can you continue to want them, and yet despise them? It has happened to all of us, yet when it first happens there is nothing more hurtful and confusing…we are…the worst of ourselves, the side we’re scarcely aware of. He’s not going to back away. It’s not a dramatic or heroic reversal, but quietly hopeful. He says, ‘We may not make it,’ meaning he knows the terrible pressures he faces now, in postwar Australia, but is willing to give it a go. ALICE PUNG is a Melbourne writer, lawyer and teacher. She is the author of the critically acclaimed and award-winning books Unpolished Gem and Her Father’s Daughter and editor of Growing up Asian in Australia, all of which are studied in high schools nationally. She also writes for the Age, the Good Weekend and the Monthly. She is currently the writer in residence at Janet Clarke Hall, the University of Melbourne, and an Ambassador for the 100 Story Building, which helps foster a love of literature in disadvantaged school children.